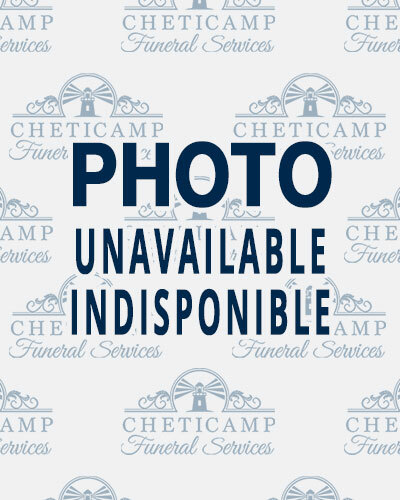 Age 81, of Cheticamp, passed away on March 28, 2019 at the Cape Breton Regional Hospital, Sydney, N.S. He was the son of the late Edward and Laura (Bourgeois) Camus. Phillippe was born in Cheticamp and moved to Toronto at the age of 18, where he met the love of his life, Margie LeLièvre. They married on September 12, 1959, and had 3 wonderful children; Wayne, Laurie, and Steve. Grandpa loved and admired each of his 6 grandchildren. Phil was employed at Evans Contracting for 35 years before finishing his career with Miller Contracting. Miller Contracting loved and respected him so much that they named a street “Camus Causeway” in his honor when he retired. Phil was a great fisherman and hunted on occasion. He taught his children and grandchildren how to play cards, which was evident when he retired. He belonged to many card clubs, where he met many new people, and won the occasional game, bringing home a cake mix and a can of icing. He will be further missed by his companion, Laurette Bourgeois and her family. Dad proudly opened his heart to his new extended family. “Peasoup” you will be greatly missed. He will be dearly missed by his sons; Wayne Camus (Betty), Port Perry, and Steve Camus, Thunder Bay, daughter; Laurie Tesolin, Thunder Bay; sister, Viola (Eugene) LeBlanc, East Margaree; grandchildren, Melissa Camus, Caitlyn Camus, Bradley Camus, Courtney Camus, Victoria Tesolin, and Sara Camus; great-grandchildren; Arlee Jeschke-Camus, and Odin Camus. He was predeceased by his wife Marguerite Camus; brother, John Joe Camus; sister, Mary Jeanne Poirier. Visitation will be held in Cheticamp Funeral Home on Tuesday, April 2, 2019 from 7-9 P.M. Funeral mass will be held on Wednesday, April 3, 2019 at 10:30 A.M. in St. Peter’s Church, Cheticamp with Father Peter LeBlanc officiating. Burial at a later date in parish cemetery. Donations may be made to the Diabetes Society or Charity of one’s Choice. Please accept my condolences on your dad’s passing and I wish that I could be there pay my respects in person. I’m glad I had a chance to visit with him & Laurette during my last few visits to Cape Breton, he seemed really happy to be back in Cheticamp and had made the Janie’s cabin a real home. Uncle Phillip was a wonderful man and when I think of him; I’ll remember the times our families spent together at Young’s Lake in Seabrite, ON and his laughter. He will be missed. Condolences from Kathy, Diane, and Brian .Phil was a wonderful man ,loved by many He will be for sure missed by all . Margie and Philip camus were my sister in law. I was married to joseph Charles Lelievre margie’s brother. Great couple and loved by lall.sadly missed by family and friends in oshawa. They are playing their cards games now. R.I.P. Our condolences to Steve and all the family from everyone here in Thunder Bay. All of us are thinking of you during this time. Geoff, Jim and Anne Davey send you all our sincere condolences. Phil was a loving, gentle and funny man. We will cherish the memories. Very sorry for your loss. Thinking of everyone at this difficult time.